It is so wonderful to visit the home designed and built by the Jamaican patriarch, the honorable George Stiebel in the late 19th century. But moreso to learn all about his life and the rich history and legacy of the property. 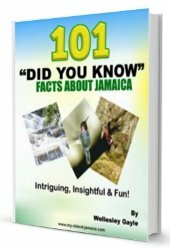 Mr. Stiebel was the son of a Jamaican housekeeper and a German. He had a rough life when he was growing up and he dropped out of school when he was 14 years old. He then learned carpentry as an apprentice and was able to work on his own. By the age 19, he was a professional! After he got his first ship from his father he started trading. His business took him all over the world, but he truly was in love with his country. So after he made his fortune he returned and bought many properties. He spent a number of years at Devon House, enjoying his grandchildren with his wife Magdelene before he died in 1896 at the age of 75. Devon House is now furnished with a collection of antiques from different places. Visitors can tour the mansion with a guide at different times through out the days. It is so nice to go back in time and remember the days when there were no cars. The stables are still there and you'll be told about the horses, the grooms men and the carriages. and visitors. Although the first place you'll want to visit is the Devon House Ice Cream shop. There you discover new and exciting flavors like the SourSop Ice Cream, Coffee, Devon Stout and many others. You'll also enjoy the delicious treats at the Brick Oven, the great little pastry shop, where there is always the smell of freshly baked products. The Grogge Shop is famous for it's popular Sunday brunch, you will be served with local and international cuisine there. At the Things Jamaican Shop you'll find lovely Art and Craft. It is like the melting pot of everything Jamaican. The Culture, the Cuisine and the heritage. Devonshire is a nice indoor space where weddings and other formal functions are held -great for dining! The Wassi Art Shop has exotic pottery with original and very beautiful designs. Their hand crafted gift items are really nice. Cooyah Roots Wear is the place to go for the hottest clothing line to come out of Jamaica. "Elaine Elegance " has the evening dresses you'll need for special occasions. Her designs are unique. They are done with crochet and embroidery. The Star Fish Oils shop is where you'll find aroma therapy products that are designed to nourish your soul. The island flavors are used to make the candles and the oils truly special. 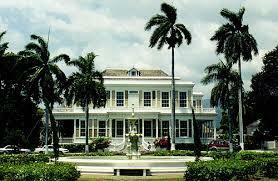 Devon House is truly a wonderful testament to Jamaica's rich heritage, but is also a lovely place for families to enjoy.